An ovarian cancer patient who had been using Johnson & Johnson talc for genital hygiene since she was 11 year old was awarded a $417 million verdict against Johnson & Johnson by a Los Angeles California Jury. This verdict is the highest of five previous product liability cases against Johnson & Johnson that were all tried in St. Louis, Missouri. It is also the third-largest jury award in the U.S. so far in 2017. 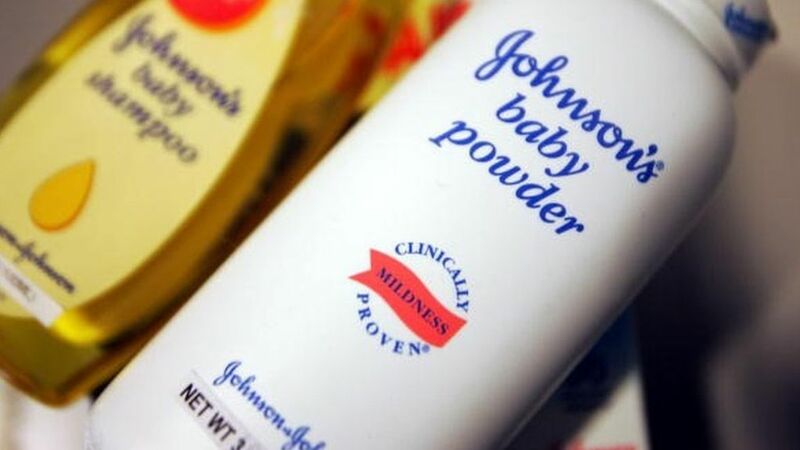 After a four-week trial, the jury awarded 62 year old Eva Echeverria $70 million in compensatory damages and $347 million in punitive damages against Johnson and Johnson for failing to warn consumers that genital use of talc powders could raise the risk of ovarian cancer. Echeverria was diagnosed with ovarian cancer in 2007. According to the lawsuit she used Johnson and Johnson talc for her personal hygiene many thousands of time over 40 years. She stopped using the talc in 2016 after watching a TV report that linked talc powder to ovarian cancer. Unfortunately it was too late for Echeverria who was diagnosed with ovarian cancer a year later. The cancer has now spread to different parts of her body despite 100 rounds of chemotherapy and several experimental treatments with painful side effects. Echeverria has a daughter and a grandson. Despite having lost most talc powder cases, Johnson and Johnson is still denying their talc powder is unsafe. After the verdict, Carol Goodrich, Johnson & Johnson spokeswoman said “Ovarian cancer is a devastating diagnosis and we deeply sympathize with the women and families impacted by this disease. We will appeal today’s verdict because we are guided by the science, which supports the safety of Johnson’s Baby Powder”. Since 1982, when a first study in the journal Cancer showed a link between the use of talc and ovarian cancer, more research has proven that talc can create an inflammation of the ovaries through the genital tract. This inflammation can lead to cancer. Internal documents from 1975 show that Johnson & Johnson executives were already aware of the risk at that time but decided to place “corporate image over human life” said Echeverria’s attorney in its closing argument.